In a physically demanding world like ours, painful muscular conditions are quite common. We are all at risk for developing sore muscles due to our monotonous routines. But if we think about it, muscle pains have existed for quite some time and so have their therapeutic solutions. The Shiatsu massage, more commonly called the Japanese massage is an extremely helpful way of taking care of sore muscles. The term ‘Shiatsu’ translates to finger pressure and this finger pressure releases sore trigger points. Going to a spa for a traditional Japanese massage is not something everyone can do. Most decent spas charge an excessive amount of money for a single session. A single session never cures anything and going back again, means spending more money. This becomes a huge inconvenience. To take care of this painstakingly expensive inconvenience, engineers and medical professionals have designed cool massage chairs. Some of these Shiatsu massage chairs are designed to deliver a spa-like shiatsu massage. So today in this review, we look at the best Japanese massage chairs and guide you, if you are looking to purchase one. If you’re looking for best massage chair for your home then do check out our list to best massage chairs, it’s starting from $800 massage chair. A convenient and effective Shiatsu massage can be enjoyed with the Daiwa DWA-9100. It has the extra long L-track massage roller, which extends to a length of 49 inches, covering everything right from the neck to the glutes and the hamstrings. The 3D body scan technology aids the roller massage system by scanning the whole body. This determines the curvature of the spine and helps deliver a targeted and focused massage, according to your body type. It has an in-built Rocking Rotation Technology. If your muscles get tight and sore, owing to the constant sitting, then this feature is a godsend for you. It makes the chair rock back and forth like a classic rocking chair and relieves any pressure and tension present in your spine. The zero gravity technology makes the spine feel stretched and tension free. Due to this feature, the chair gets reclined to an angle of thirty degrees. This puts the body in a weightless and free position and evenly distributes all the weight. The even distribution of weight relaxes sore spinal muscles and gives a sense of rejuvenation. The massages are designated according to the region of the body, to take care of every part, in a smooth manner. To cover the upper body there is the shoulder, arm, backrest and waist massage. Seat, thigh, calf and foot massage cater to the lower body efficiently. The lumbar area is especially taken care of with the lumbar heat feature. It provides soothing and warm heat to the lumbar muscles and joints relieving any soreness and pain. 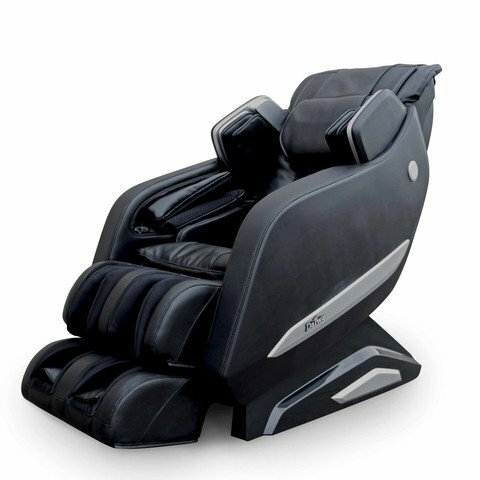 Six automatic preset massage programs add to the pleasure and convenience of this amazing Shiatsu massage chair. Recovery is for a quick warm up and readies your body for the other massage programs. The Extend massage program entails providing an intense stretch whereas Relax and Refresh are for cooling down and light massage respectively. Upper body auto and Lower body auto are for times when you have to focus the massage on either region of the body. The built-in Bluetooth technology notches up the luxury of this massage chair. It lets you wirelessly connect your gadgets to the massage chair so that soulful tunes can be enjoyed during your serene massage session. High-quality, compact speakers are installed above the shoulder area of the chair, for efficient sound delivery. The Daiwa DWI-9100 is perfect for releasing nasty, painful trigger points which cause pain. We would definitely recommend buying it for a serene and soothing Shiatsu massage experience. 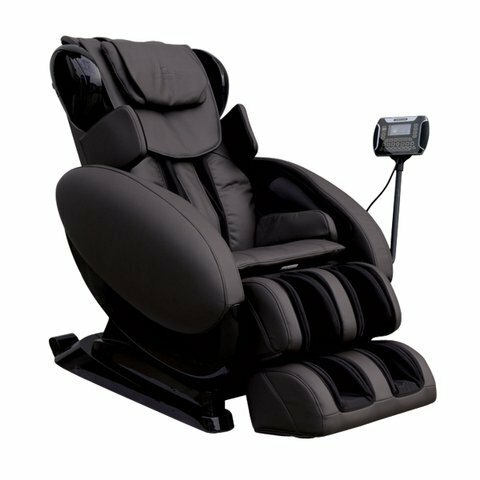 Say hello to comfort and luxury with the U.S Jaclean Massage Chair Relax 2 Zero USJ-9000. 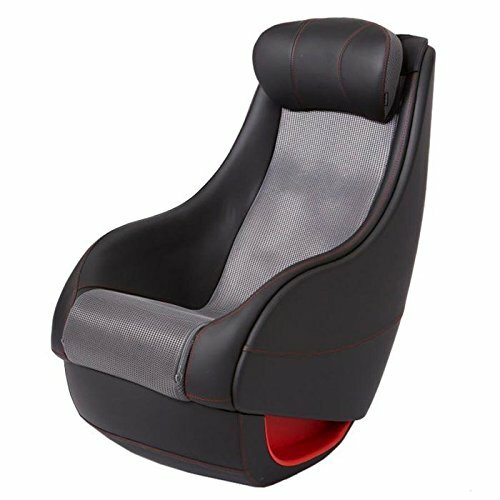 This massage chair is a perfect state of the art, modern lounger massage chair. The USJ-9000 is made from pure PU synthetic leather, which makes sitting in it a heavenly experience. The massage rollers deliver super long massage strokes, for relieving pain and tension developed in your body. They are further aided by the whole body detection feature which draws a virtual map of your body. By doing so, a targeted and focused massage is delivered. The whole body gets an incredible stretch via the Zero-Gravity technology. The body gets positioned in an astronaut like stance and gets free from tense and tight, spastic muscles. The chair comes equipped with an airbag technology which gently squeezes muscles. This is perfect for sore and tired muscles after the end of a long day. The USJ-9000 massages the whole body and provides extra comfort with its body heat feature. The massage chair combines shiatsu and heat together to tend to nasty knots and achy areas. You can also try the advanced massage modes for an even fuller and luxurious experience. An LCD remote comes with the massage chair and puts every function, just a touch away. An incredible feature of the USJ-9000 is low energy consumption. The chair delivers an adequate and therapeutic massage without worrying you about the electric bill. 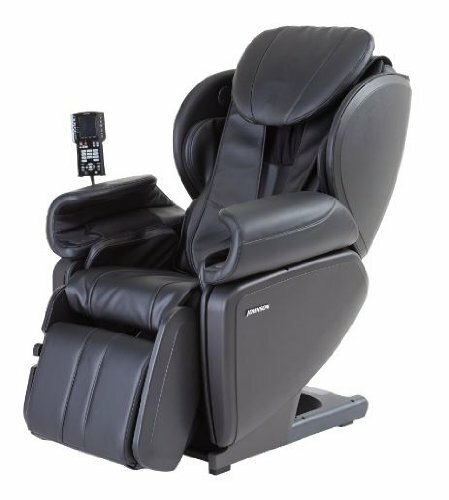 If you are somebody who wants to take an economical approach when buying a massage chair, then pick the USJ-9000. It’s extremely efficient and you wouldn’t end up spending money on bills. 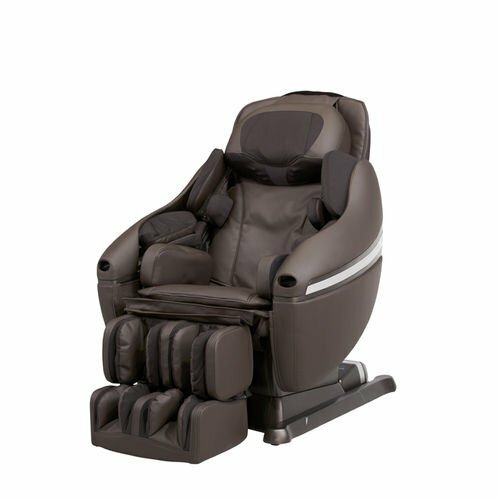 The Inada Sogno Dreamwave Massage Chair is an amazing piece of machinery. It incorporates efficiency and therapy to deliver a targeted Shiatsu massage. It is able to cover an area of 1200 square inches when delivering a massage. This feature allows the whole body to be engulfed in a comforting nirvana. The undulating figure eight motion feature of this massage chair mimics the therapist’s hands. It makes you feel the same balance which you would have felt with the therapist’s hands. The Inada Sogno also has a full body stretch feature. This allows your shoulders, mid-back, and hips to experience a gentle flexion and extension motion with a rotational twist. It has eight preprogrammed massage sequences like revolutionary morning and nighttime programs, all for you to choose from. The healthcare massage program is especially beneficial for someone who has painful muscular conditions. A unique feature of the Inada Sogno Dreamwave is the Youth Massage Session. Children older than fourteen years, if suffer from muscular conditions, then this feature can be put to use. Knowing that children have comparatively fragile bodies than adults, Inada incorporates a gentler massage routine in the youth session. The Inada Sogno Dreamwave is the perfect choice if you’re looking for a massage chair to cater to the needs of the whole family. If you like this brand then do check Inada’s top chairs picked by our experts. The ReAct Shiatsu massage chair by Brookstone is designed to provide a therapeutic Shiatsu massage while saving up floor space. It is ideal for small urban homes which are packed and require a compactly designed massage chair. It has an L-track massage roller system which extends all the way from the neck to the glutes and the hamstrings. This way the whole body receives a therapeutic and targeted massage and any knots in the body are kneaded off. It comes with a removable pillow to provide adequate support to the neck. The ReAct Shiatsu massage chair has two pre-programmed massage features namely, Full Body and Back Deep-Kneading Shiatsu massage. Both features deliver a focused massage to the whole body and the back respectively. If there are specific trigger points in your body, then the spot massage feature will take care of them in the blink of an eye. Switching the spot massage feature on, allows you to direct the massage rollers to a specific area to knead and gently heal the muscles. The optimal soothing heat feature, helps you target warmth and radiance to sore and aching back muscles. The heat is adjustable and just the right amount, to combat tension and muscular spasm. The easy access panel remote allows you to enjoy your deep and intense Shiatsu massage without getting up from the chair. Enjoy all features with just the touch of a button. This urban, dream come true, compact massage chair comes with a one year warranty, and can be perfect for your cozy home. This massage chair marvel from John Wellness is an amalgamation of sophistication and therapy. It delivers all the goodness of a Shiatsu massage and that too at an affordable price. The massage rollers are designed to deliver an ultra high performance, deep and intense Shiatsu massage. Routine massage chairs just provide a left to right, or a top to bottom motion. But the 3D technology of the J6800 allows for movement in an additional back and forth plane. It has a total of forty-six massage techniques and eleven automatic massage courses for you to choose from. The 4D technology adds an extra zing to these numerous massage techniques. With the 4D technology, you can automatically adjust the speed and pressure of the rollers, mid-stroke, simulating a real humanized massage. This says true customization and personalization. Five back strength levels are available, to remedy a tense and tight spine, with a 3.5-inch strength adjustment. This feature is further enhanced with the especially adjustable back heater. The chair also comes with rapid response airbags, for a nice squeeze-y pressured massage, to cater to tightness and muscle soreness. You can store your preferred massage technique and employ it any time you like, as the chair has three user memory profiles. A hand warmer is built in the chair along with arm-rests which can automatically recline when you want them to. This allows for their automatic backward positioning when you recline the chair. A foot heater is installed in the chair to knead achy feet for quick relief. When not using the foot massager, it can be reclined into an ottoman and can be used as a leg rest. The audio features of this massage chair are incredible. The audio component lets you stream music via your phone or tablet, so that the massage experience gets even more soothing. Speakers are embedded in the chair, near the head area, so that you can listen to music without disturbing others. The incredibility of the audio features does not end with the speakers. The chair has a program called ‘Music’ which when opted for syncs the massage to the rhythm of your music. A premium LCD controller puts all functions of this amazing massage chair just a touch away.